Lets look at the important blood values that we need to really know for the nclex. So again its very important to know our blood values by heart for the nclex. And its very essential that we know our values to determine if its normal or abnormal so we can further assess our patients’ condition. We can ask ourselves what can be the reasons for the High and Low Values of these components. First lets analyze the red blood cells or rbc’s. If we have a patient with cancer or Polycythemia Vera which is a bone marrow disease that leads to an abnormal increase in the number of blood cells (primarily red blood cells) of our patient, then the values of our patient’s red blood cell will obviously increase. On the opposite spectrum, lets look at the circumstances of our patient in having a decrease in WBC count. There are various of Autoimmune disorders such as Lupus which comes in to mind which is a disease of the immune system that leads to long-term or (chronic) inflammation that can destroy the white blood cells or decrease the WBC’s. 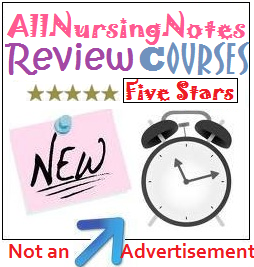 Now lets go on our next topic and go over one of the most important hematological disorder that we might encounter in the NCLEX exam which is ANEMIA. We can basically define Anemia as a decrease in the number of red blood cells (RBCs) or if the patient has less than the normal quantity of hemoglobin within the blood. So, with this disease THERE IS A DECREASE NUMBER OF RBC’S. As a result, there will be a low amount of oxygen circulation within the body. – AN ABNORMAL SHAPE OF THE RBC’S (SICKLE CELLS). So basically the cell has an abnormal kind of rigid, sickle shape and because of this it causes a decrease in the cells ability to be flexible and move freely in the body which results in the cell getting stuck within the circulation which is then manifested in pain and other various complications in our patient. I will continue this review regarding anemia on the next few upcoming videos. 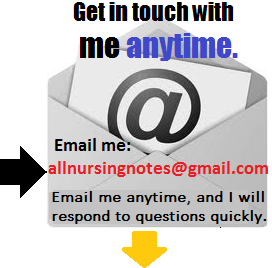 Again I want to thank you guys for taking the time to invest in making sure that you pass your NCLEX.